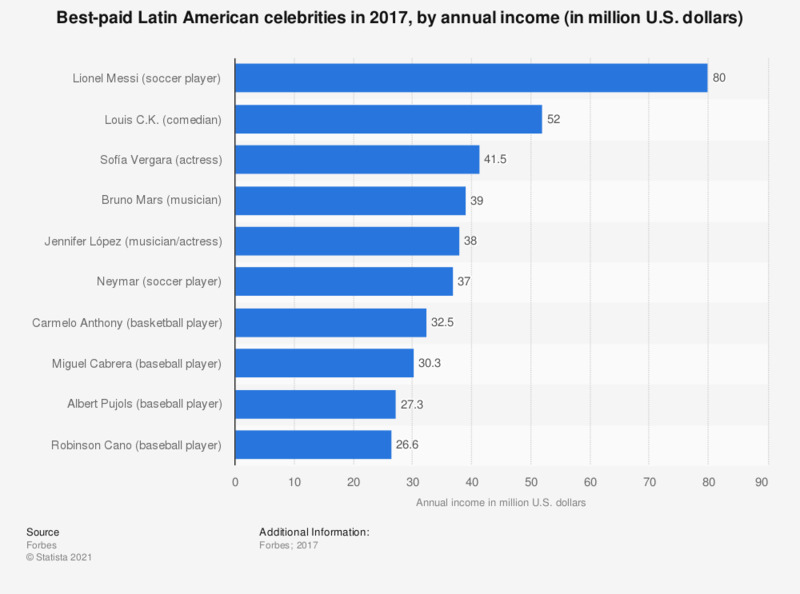 This statistic displays the best-paid Latin American celebrities in 2017. The Argentine soccer player Lionel Messi was the highest paid Latin American celebrity of the year, with an annual income of approximately 80 million U.S. dollars. Sofía Vergara was 2017's best paid Latin American actress, with an income of 41.5 million dollars. The list includes artists and professional sportspeople who are natives or inhabitants of Latin America, as well as those of Latin American origin who live in the United States and Europe.